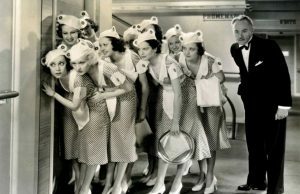 Toronto Film Society presented Crossroads (1942) on Monday, April 8, 2019 in a double bill with The Velvet Touch as part of the Season 71 Monday Evenings Film Buffs Series, Programme 7. Production Company: Metro-Goldwyn-Mayer. Director: Jack Conway. 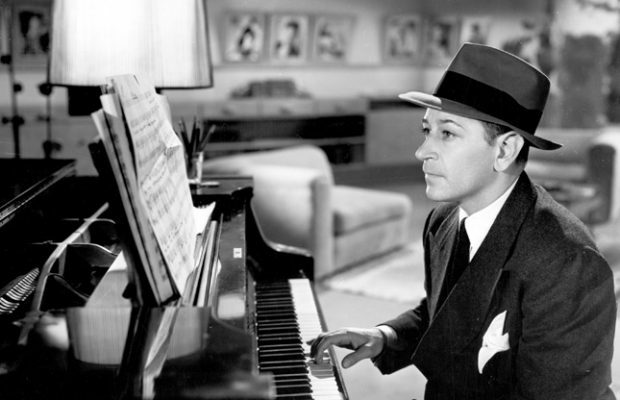 Producer: Robert Bassler. Screenplay: Guy Trosper, story by John H. Kafka, Howard Emmett Rogers, Frederick Kohner. Cinematography: Joseph Ruttenberg. Music: Bronislau Kaper. Editor: George Boemler. Art Director: Cedric Gibbons. Set Decoration: Edwin B. Willis. Gowns by: Robert Kalloch. Release Date: July 23, 1942. Cast: William Powell (David Talbot), Hedy Lamarr (Lucienne Talbot), Claire Trevor (Michelle Allaine), Basil Rathbone (Henri Sarrou), Margaret Wycherly (Madame Pelletier), Felix Bressart (Dr. Andre Tessier), Sig Ruman (Dr. Alex Dubroc), H.B. Warner (Prosecuting Attorney), Philip Merivale (Commissaire), Francis X. Bushman Jr. (Giant Policeman), Anna Q. Nilsson (Madame Deval), Vladimir Sokoloff (Carlos Le Duc). Crossroads is set in 1935. 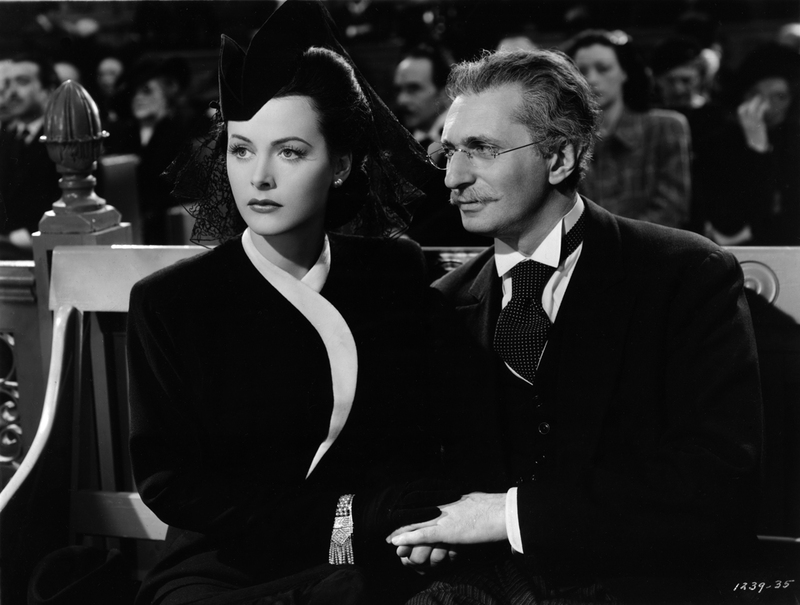 French Diplomat David Talbot (William Powell) and his bride, Lucienne (Hedy Lamarr), are enjoying their third month of marriage in Paris when Talbot is confronted by extortionist Carlos Le Duc (Vladimir Sokoloff) who demands money in exchange for not turning him in to the police. There is a trial, during which the extortionist’s defense is that he was seeking a repayment of debt by a former criminal comrade; Talbot is accused of being that notorious criminal. Henri Sarrou (Basil Rathbone) testifies that he is not. Talbot claims that amnesia prevents him from knowing the truth, and his story is backed up by a psychologist, Dr. Tessier (Felix Bressart). Le Duc is convicted. Sarrou then visits Talbot at his home, where we learn that Sarrou deliberately testified falsely to set up his blackmail scheme. He demands a million francs—half the loot from an alleged scheme that he and Talbot (in his forgotten criminal phase) carried out. Talbot subsequently struggles to discover the truth about his past while keeping Sarrou at bay and his wife in the dark. The film did well at the box office. According to MGM records, Crossroads earned $1,523,000. in the U.S. and Canada and $798,000. elsewhere, making the studio a profit of $739,000. 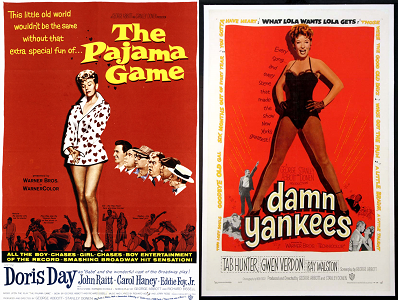 For a film shown during the war years, it was considered a financial success. The film’s success was assisted by positive critical reviews. 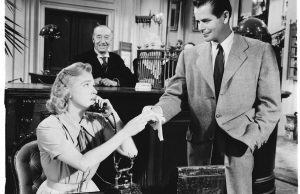 When the film was released, the staff at Variety magazine praised it, writing “This is a Grade A whodunit, with a superlative cast. 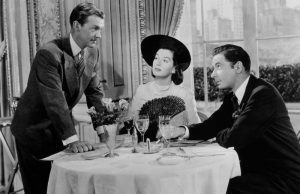 The novel storyline, which would do credit to an Alfred Hitchcock thriller, has the added potency of Hedy Lamarr and William Powell…. It’s good, escapist drama, without a hint of the war despite its Parisian locale, circa 1935, and evidences excellent casting and good direction. If the script had a better pace it would have put the film in the smash class. Its only fault is a perceptible slowness, at times, although the running time is a reasonable 82 minutes, caused by a plenitude of talk.” This talk was due to an overly lengthy script that slowed down the pace of the film. Basil Rathbone, who played Henri Sarrou, had a long career in films, and you may recall him playing Sherlock Holmes. The many Holmes sequels typecast Rathbone, and he was unable to shake himself completely free from the shadow of the Great Detective, despite appearing in other film roles. 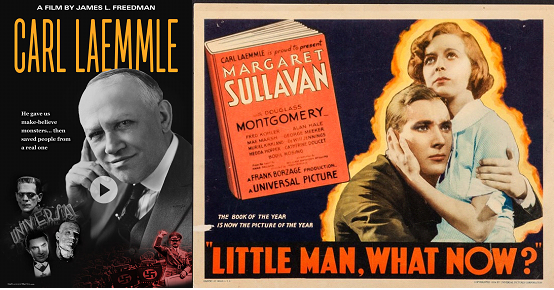 Resenting the typecasting, Rathbone refused to renew his contract at Metro-Goldwyn-Mayer and returned to Broadway. In later years, however, Rathbone willingly made the Holmes association, as in a TV sketch with Milton Berle in the early-1950s, in which he donned the deerstalker cap and Inverness cape. In the 1960s, dressed as Holmes, he appeared in a series of TV commercials for Getz Exterminators (“Getz gets ’em, since 1888!”). Guess we all have bills that need to get paid!